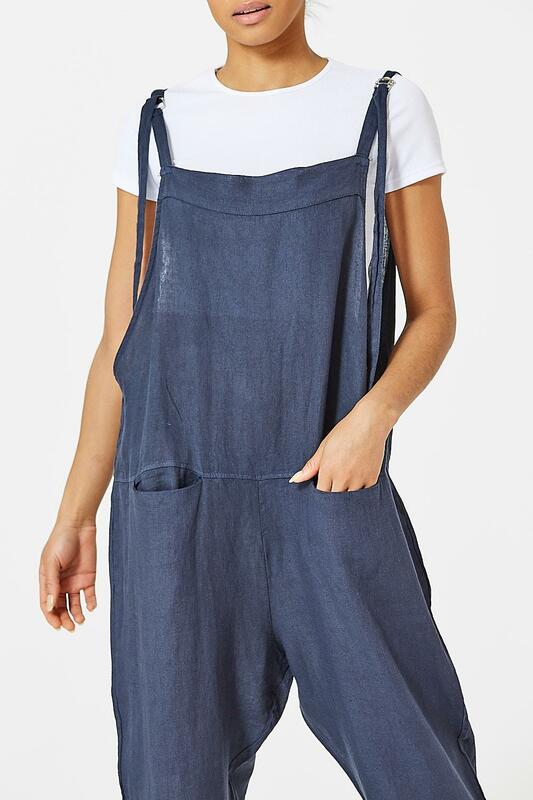 The easiest jumpsuit to wear ever. 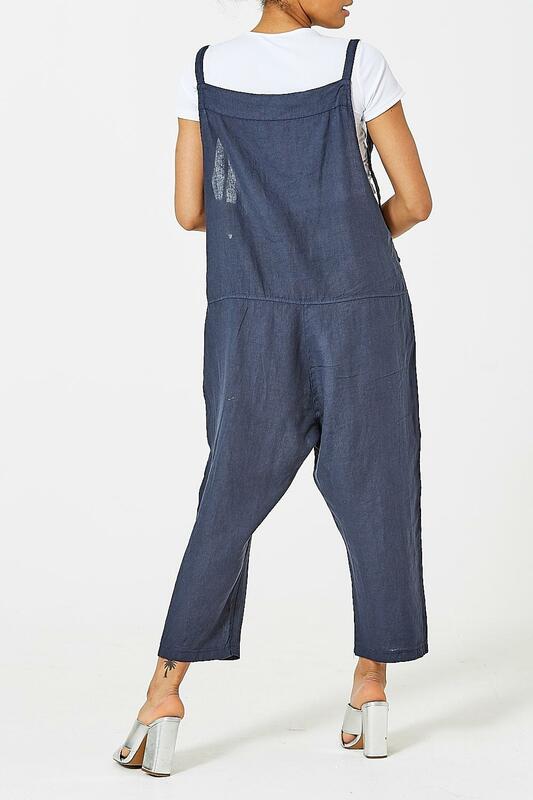 This dungaree style jumpsuit is effortlessly cool and will be your go to outfit for days out. 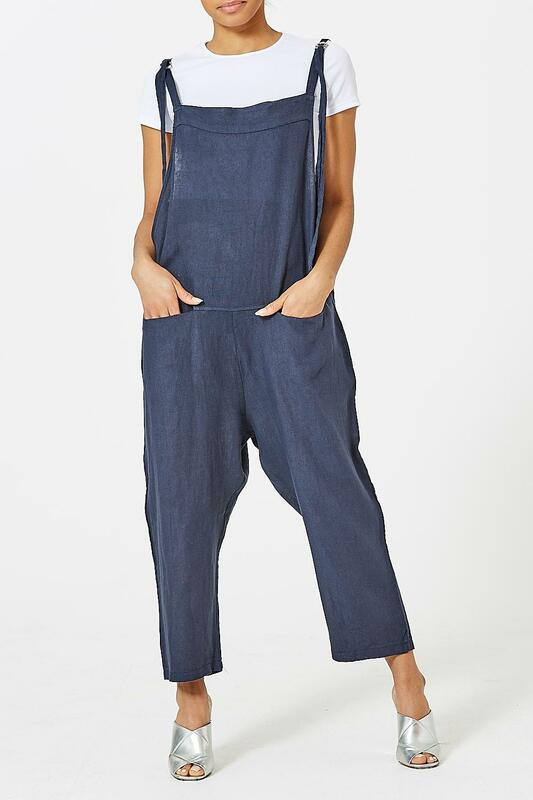 So versatile, team this jumpsuit with a tshirt or vest underneath or simply throw on over a bikini.